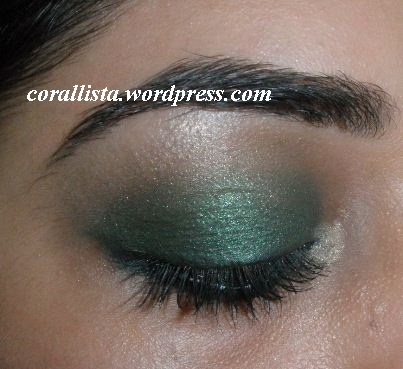 Today I’m doing an intense green smokey eye look. 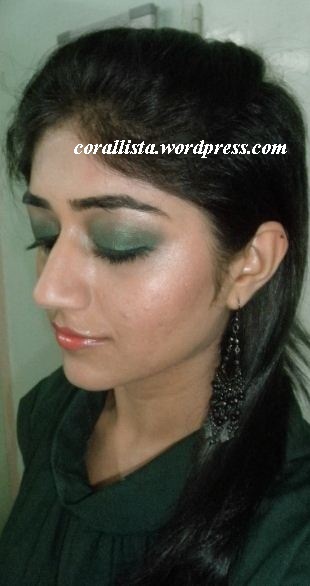 I’ve paired the green smokey eyes with soft coral lip color and bronzer on cheeks. 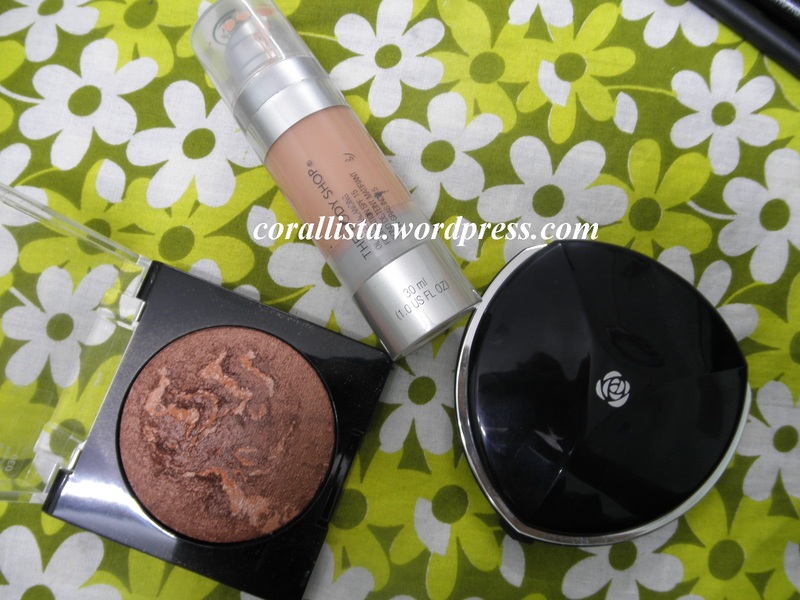 On a well moisturized face, apply foundation and set with powder. 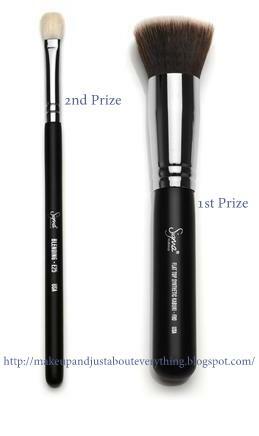 For the eyes, use a black smudgy pencil(or kohl) on entire lid as base and apply green eye shadow all over lid, blend it with a blending brush in the crease. 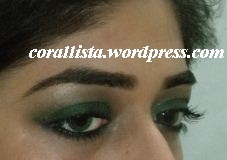 Apply heavy kohl on waterline and lower lash line and smudge it with the green eyeshadow. 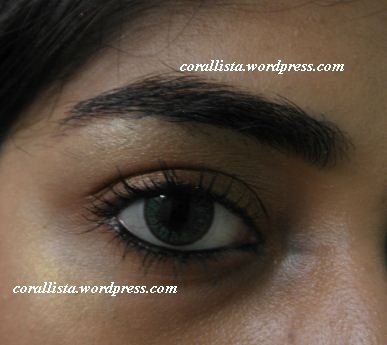 Apply peachy golden highlighter on brow bone and inner corners and finish with mascara. 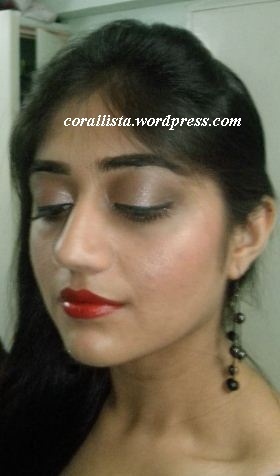 Use bronzer on the cheeks and apply coral- peach lipstick on the lips. 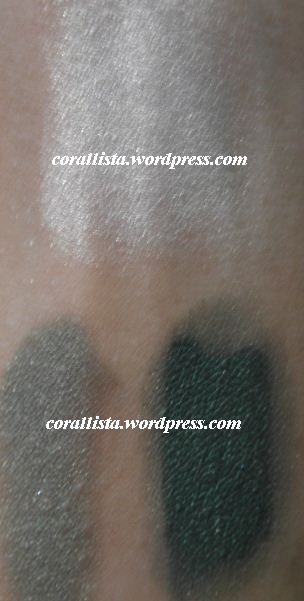 Have you tried green smokey eyes ? 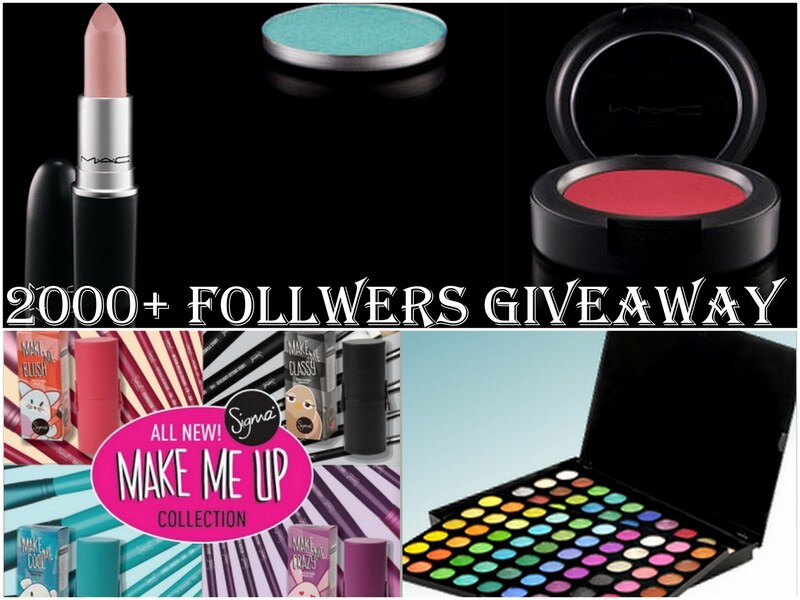 What lip color do you pair with green eye makeup ? Let me know your comments by replying below. 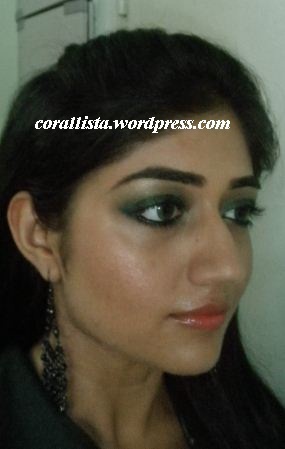 Today I’m doing a simple copper- gold party makeup look . The overall look is quite subtle yet party wear. The key to this look is lots of fine golden shimmer used as lid color and highlighter on cheeks to give a glow to the face. 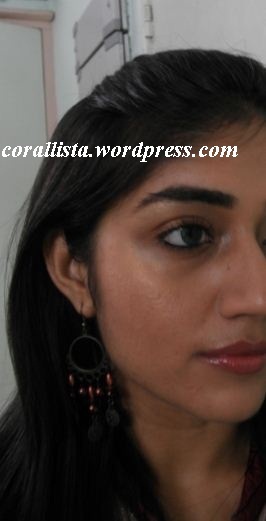 This look is easy to do and will go best with ethnic wear having copper/gold work. 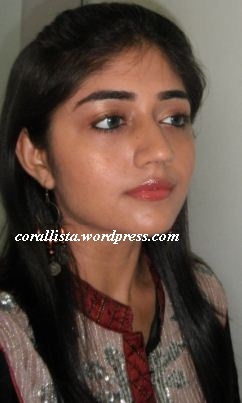 On a well moisturized face, conceal required areas , apply foundation and set with powder. For the eyes, use MAC cream color base is ‘Improper Copper’ (or any other copper/gold shimmery eye shadow) all over lid and blend till brow bone,set with golden eyeshadow, apply brown liner on upper lash line, kohl on water line and finish with mascara. 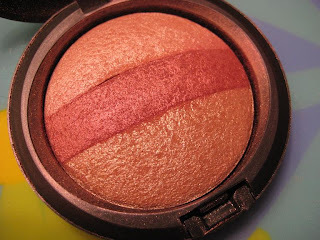 For the cheeks, apply earthy pink blush on apples and hollows of cheeks and lots of golden highlighter on cheekbones. 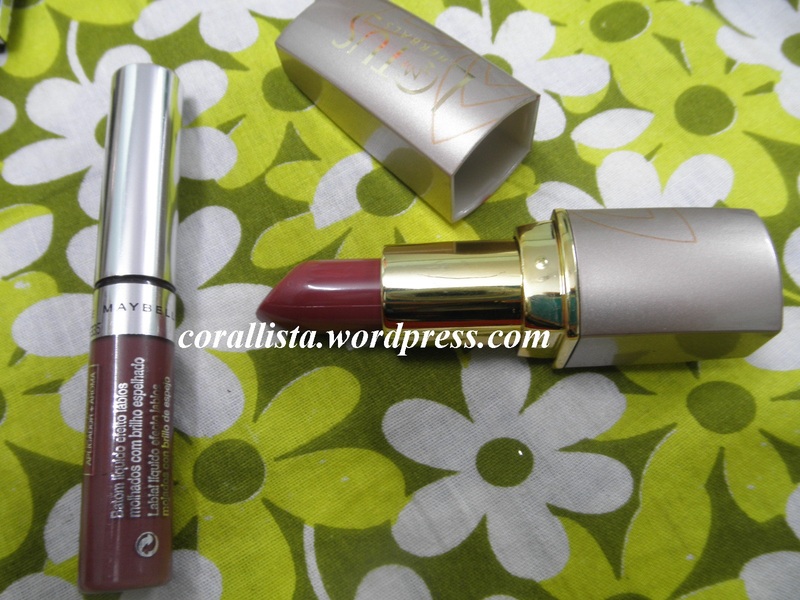 Apply earthy pink lipstick and top off with gloss. 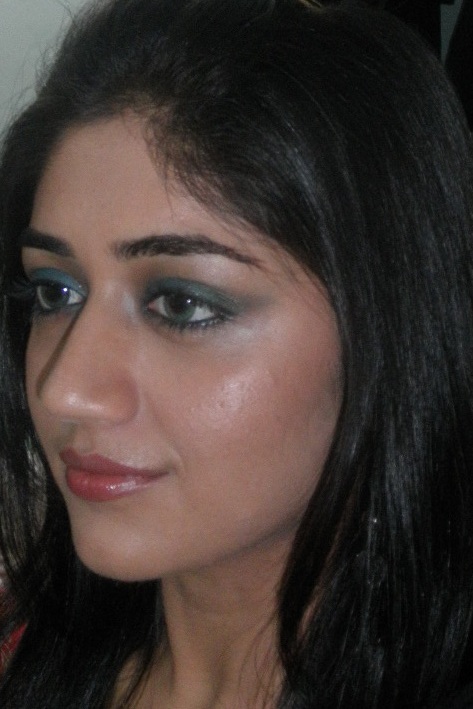 The eye makeup is very simple with all over lid application of golden-copper eye shadow, smudged liner, kohl and mascara. 1. Apply golden/copper cream/powder eye shadow all over lid, build it up to high intensity and blend it out towards the browbone. 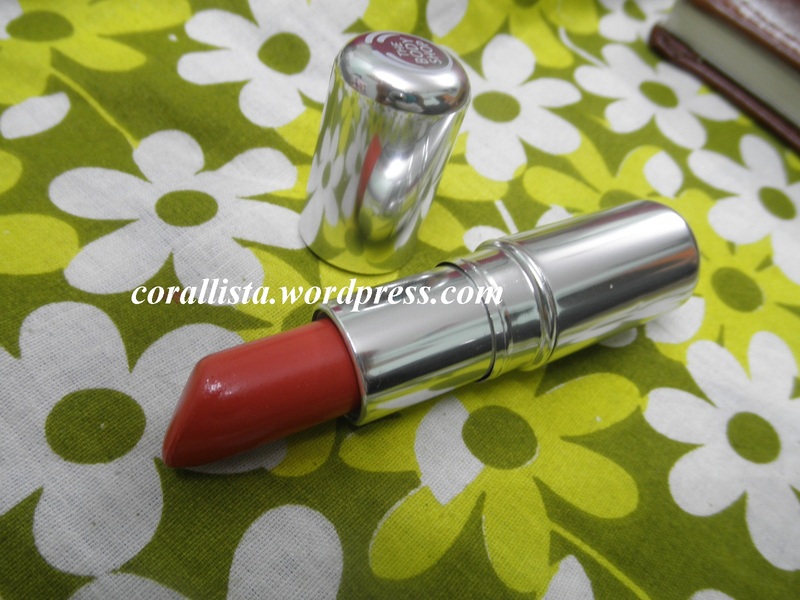 I have MAC Cream color base in ‘Improper copper’. 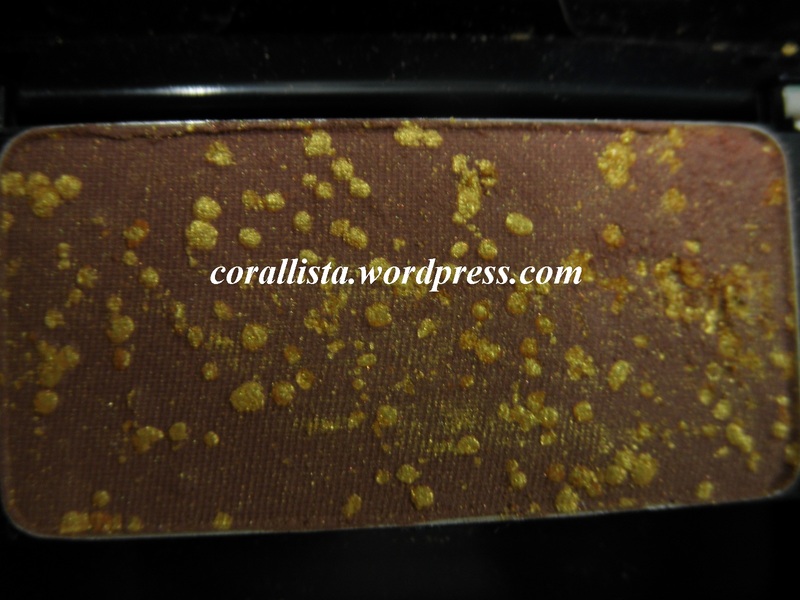 Its a golden-copper shade with lots of subtle gold shimmer. 2. 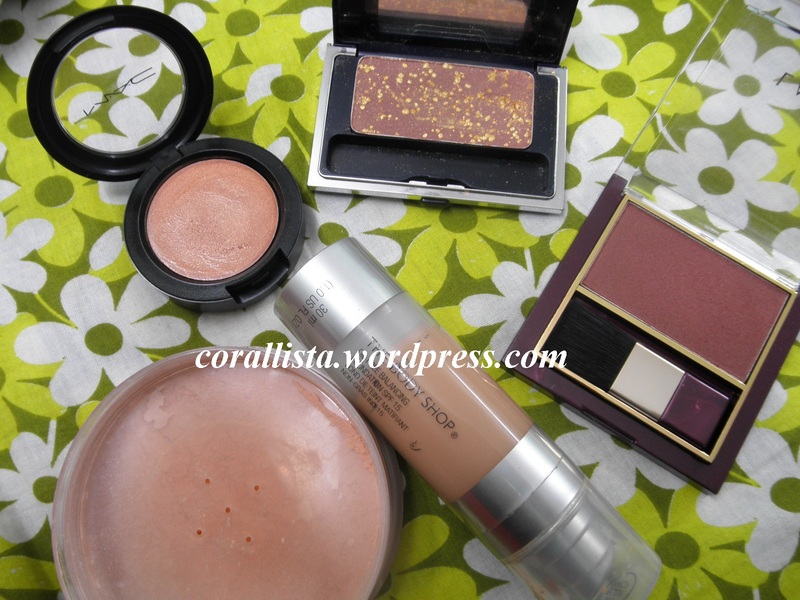 Next, I’ve used Chambor blush ‘#59 Star Delight’ as all over lid color to set the cream base. 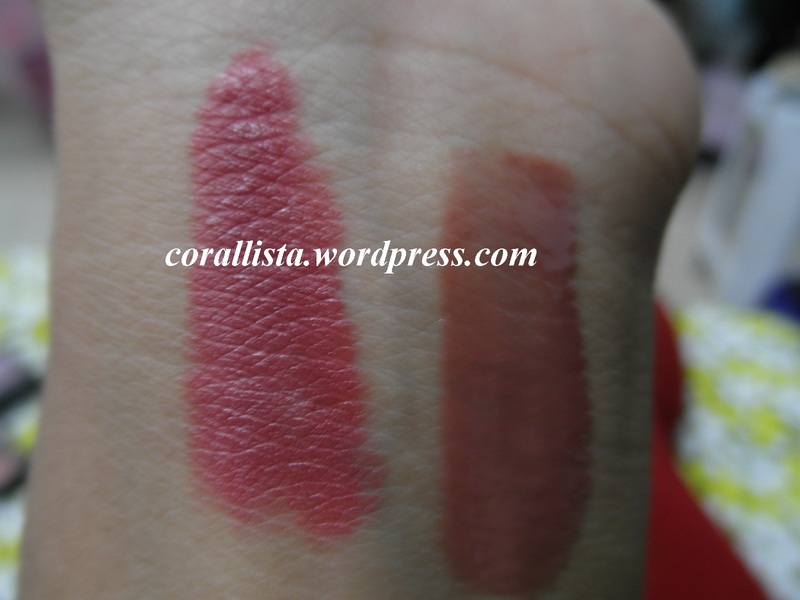 The blush is basically an deep earthy pink shade. 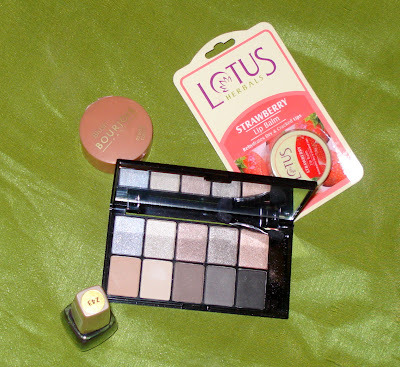 When I opened the packaging I found out that it had a lot of fine golden shimmer on the top. The shimmer is very fine and I’m using it as a highlighter/eyeshadow till I finish off the top golden layer and reach the actual blush shade. 3. 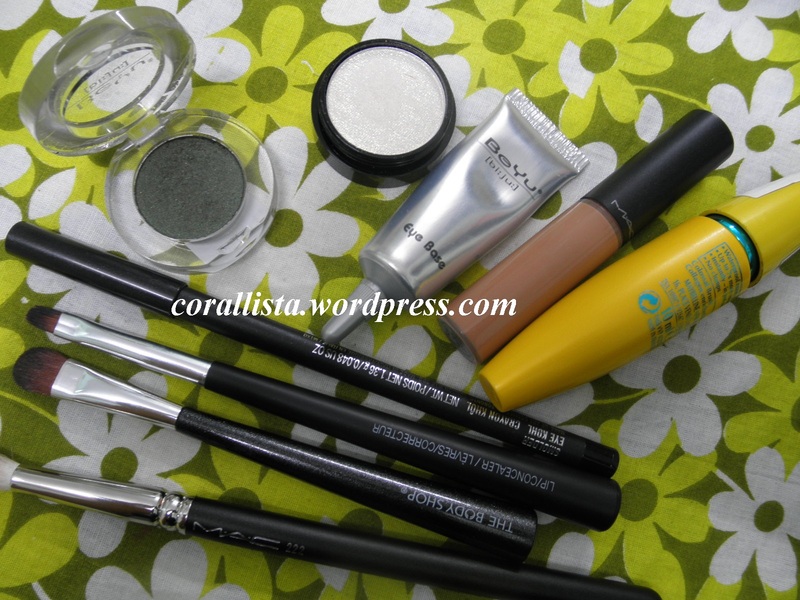 Next, I’ve applied Bourjois Kohl and Contour pencil on upper lash line and smudged it. 4. 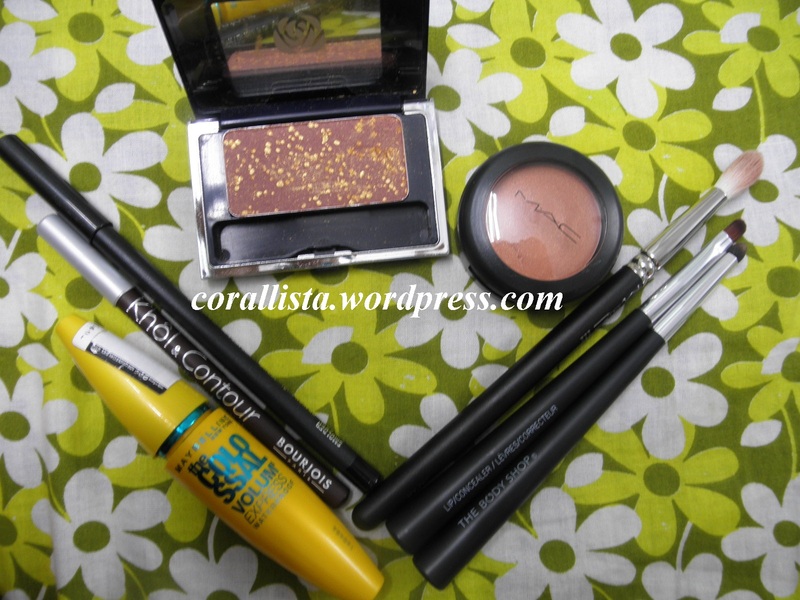 Applied MAC Smolder on waterline and finish off with mascara. 1. 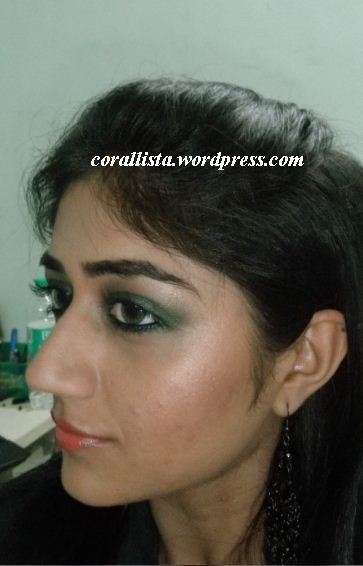 Apply conceal on required areas, apply foundation, set with powder. 2. 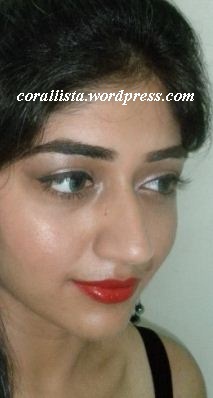 Apply MAC Cream color base in ‘Improper Copper’ on cheekbones and blend towards hairline. 3. 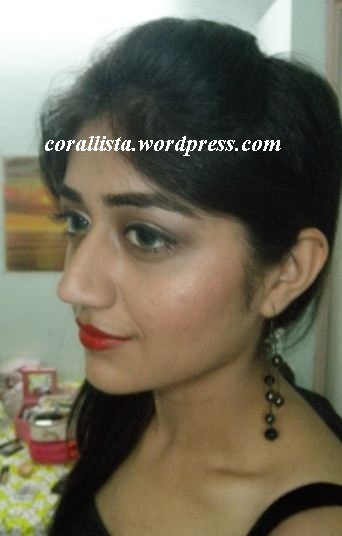 Apply Lakme ‘rose crush’ (matte earthy pink) blush on apples and hollows of cheeks, blend towards hairline. 4. 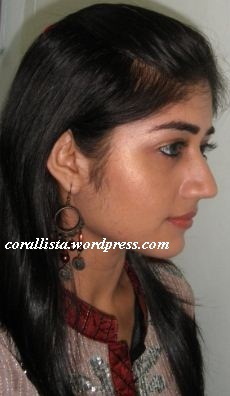 Lastly, apply the golden shimmer as highlighter on cheekbones and blend towards hairline. 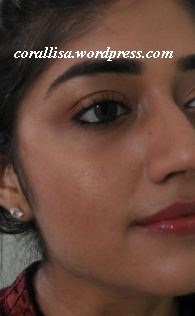 Whats your quick party makeup look? Let me know your comments by replying below.